Este post inclui os vídeos de "A Healthy Time" e "Static Mouth" (ao vivo) dos The Sidekicks. "(...) Weight of Air is the sound of a band getting the job done, and no more. It's the sound of a band going into the studio with little to say, nothing to rebel against and no real reason for making music other than it's just the sort of thing mildly disaffected kids with a little extra time on their hands do these days. It's punk rock for the Internet era, for the Hot Topic masses, a brand of punk where feel-good, inclusive populism's the goal rather than any high-minded ideal or lowbrow rebellion." "(...) Describing music that isn't simply a clone of other bands is hard -- fairly impossible, in fact. 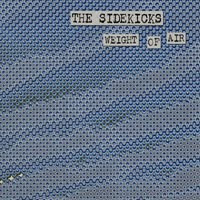 While Weight of Air is no genre-defining masterpiece it definitely is a breath of fresh air in its scene. It's more rock than it is punk, without being quite as self-conscious as a band like the Hold Steady. In fact, it's far more enjoyable because of the simple, raw ethic that shows through on this record. Refreshingly, there's no drunken punk rock worshipping or overdone production here -- it's just four kids from northern Ohio making music that they'd like to listen to. Highly recommended. I'd say it's the best album I've heard this year -- punk, rock or otherwise." . In Punknews.org. Ler crítica na íntegra aqui.